What about the 90% underwater? You know how they say that whenever you see a success story, you’re only seeing the 10 % tip of the iceberg that’s visible to all? What about the 90 % underwater? He was such an avid reader, he could spend ten hours a day reading. One of his classmates described him as unspectacular in school. He admitted that he’d rather play videogames, write software and read instead of trying to get an A when he saw no point to the A. For example, he would aim for the highest grades in his areas of interests — physics and computers — and just manage a passing grade in classes such as Afrikaans. He was bullied at school. It was obvious from the very beginning that he was a brilliant and curious child who picked up things easily. But before anybody could attribute his later success to mere talent and good genes, it’s important to note that he put a lot of hours on top of that natural talent. Whether it is the hours he spent reading or coding, one takeaway that people need to take is that if you’re interested in something, put in the hours to learn and apply it. For example, he could have easily been happy playing video games, but he found it so fascinating that it sparked his interest to code. 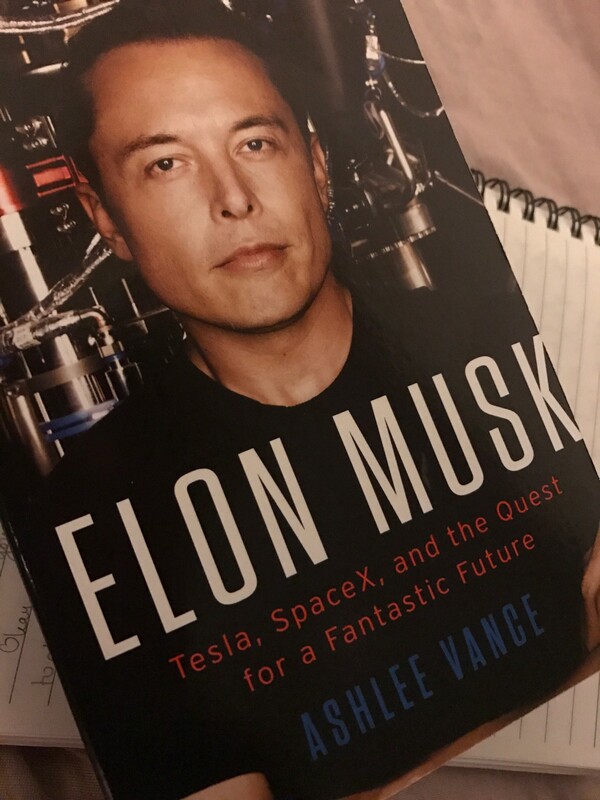 Every company he has started has a goal bigger than making money; Tesla wants to wean humanity’s reliance on fossil fuels by making electric cars, and SpaceX wants to eventually make interplanetary travel feasible and the first step was to reduce the cost of rockets. Why I liked the book was that the author went into painful details about the many failures his companies went through. It must have been heart-breaking to watch one rocket after another explode, and someone with less conviction could have easily folded as their company hemorrhaged money, but not Elon Musk. Instead, he went after his goal harder, pushed his engineers to return to the drawing board with the new lessons learnt after each failure. It’s obvious that to him, “No” doesn’t always mean “No”. It just means try again in another way. The book shows how demanding he was as a leader, it raises the question about different Leadership styles. Some say being tough brings out the best of people, but I personally don’t agree with that for reasons that are explained here. All in all, it was an excellent read, which I totally enjoyed. If you like this post, support the work by pressing on the green heart below and visit my website http://ahscribbles.com/ to subscribe to the newsletter.